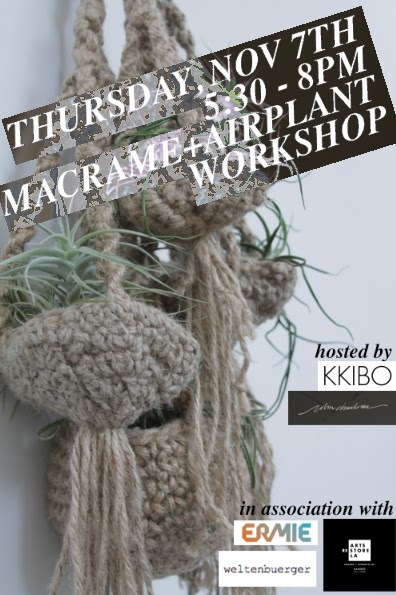 KKIBO Macrame + Airplant Workshop where you will learn the basics of macrame knots. Kids ages 10 and up are welcome. KKIBO is a line of insanely awesome handmade sweaters, accessories and housewares made by the incredibly talented Jo Abellera (who is also teaching the macrame workshop). She will be included in the series this weekend. 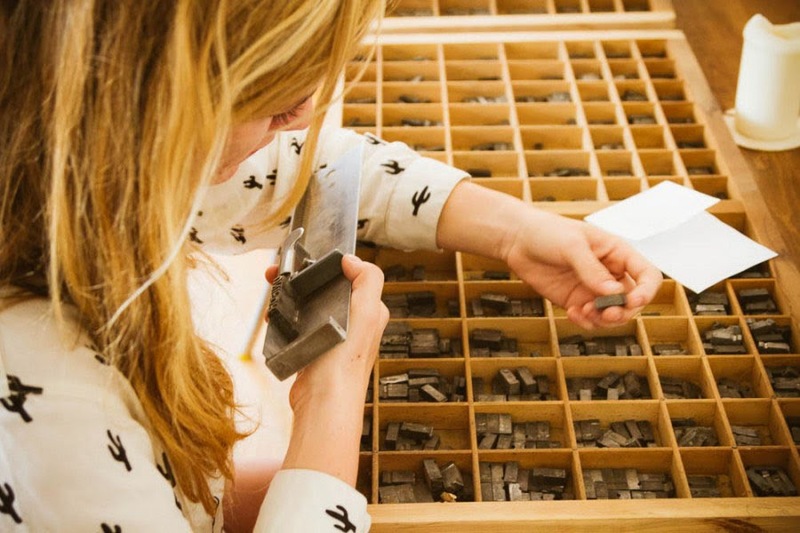 When I was in college, my typography class took a field trip to One Heart Press in San Francisco, run by the renowned designer, Michael Osborne. It truly made such a huge ..... er, um (I have to say it!) impression on me. So much so, that several years ago, I designed a small run of letterpress holiday cards and stationery in collaboration with 9 Spot Monk which was sold online and at one of my neighborhood shops in Brooklyn.